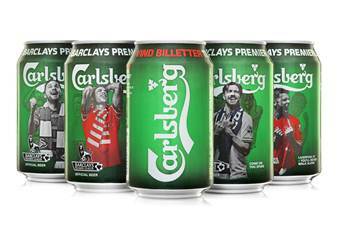 Carlsberg Denmark has selected Rexam to produce four new can designs celebrating Carlsberg’s sponsorship of the Barclays Premier League. The limited edition 33cl cans are produced at Rexam’s Fredericia plant by combining two designs on parallel lines, which are mixed before palletising to deliver four designs simultaneously. The designs show images of football fans in ‘Barclays Premier League’ strips, highlighting the brands strapline ‘that premier feeling’. 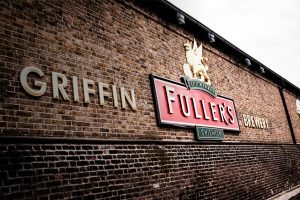 The promotional design will replace the traditional Carlsberg design for a limited period and will be available to buy in multi-packs in Danish retail and convenience stores from March 2014. Beverage and or Beer consumers expect the product they drink to be free of health problematic contaminants. 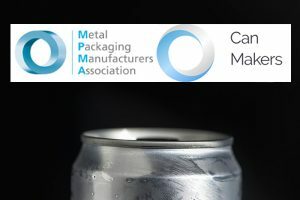 Food cans are a long standing technology that provides the consumer the enjoyment and nourishment of these products, however, the food can package can contain problematic health risk contaminants. We have been accustomed to feeding our infant children sterilized food from baby food jars, but these jars can contain chemicals that simulate hormones, and affect a child’s physical development. Currently many canned beverages, plastic polyester bottles; especially those that are post pasteurized, canned vegetables, and baby food jars, contain contaminants extracted from the internal container coatings and or closure coating and/or sealant, in the case of baby food jars. 1) A polyester which might contain Phthalic acid / Anhydride, Melamine, and Formaldehyde, a Carcinogen, and Butyl Cellosolve. All health risk chemicals; including cancer. 2) Acrylic resin based coatings using Melamine Formaldehyde, and Butyl Cellosolve. 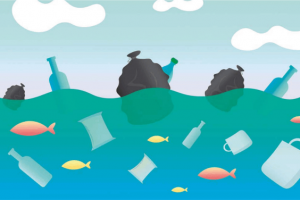 3) In contrast, a solution has been developed having No health hazard contaminants, such as: No Melamine, No Formaldehyde, No Acetaldehyde, No Acrolein, No Acrylamide, No Alkyl Phenols & Ethoxylates, No AZO Compounds, No Brominated Flame retardant, No Chlorinated Paraffins, No Creosole, No Dioxins nor Furans, No PVC, No Pthalates No Butyl Cellosolve, No Aromatics. Can be made to Super High Solids and or 100% non-volatile content, depending on available application equipment. Can be applied by existing Roll Coaters, Spray and or Coil coaters. The finished product can be converted thermally by stoving, within existing Time. / Temp. cycles, UV, EB, or at room temperature depending on the catalyst used. The product can be applied with existing commercial equipment, only a simple stirrer is needed to prepare. If the coating is applied thicker than usual, on end stock or closure, there will be no need for can end sealant, nor PVC based sealant in closures. A green, based on renewable resources, Zero Hydrocarbon, Zero VOC inside can coating, overcoming previous problems associated with alkyds, is being worked on. With an FDA compliant solvent at super high solids; that can be applied with existing equipment and converted within existing cycles.